Ireland West Airport announced a major boost for the West of Ireland this week with the news that Ryanair will commence a new direct service from Cologne in Germany, starting in June next year. Starting on June 1, Ryanair will operate direct flights to and from Cologne every Tuesday and Saturday until the end of August. Cologne is Germany’s fourth largest city and the largest city of the State of North Rhine–Westphalia. Centred on the left bank of the Rhine, Cologne is regarded as Germany’s capital of carnivals, reflecting the lifestyle of its inhabitants who make Cologne the incredibly energetic spot that it is. Enjoy boat trips along the Rhine, leisurely strolls through the old town, afternoons whiled away in one of more than 30 museums and hundreds of galleries. Exhibitions range from local ancient Roman archaeological sites to contemporary graphics and sculpture. Cologne is ideally located just an hour's train journey from Frankfurt and only 90 minutes from Brussels, providing easy onward travel options for visitors. This new announcement is a major boost for tourism in the West and North West regions of Ireland as it provides the only direct access to the west coast from the North Rhine-Westphalia region. Germany is the third-largest market for tourism to the island of Ireland with a record year forecaste in 2018 of over 650,000 German visitors with 50% of German holidaymakers visiting the West and North West of Ireland during their stay. These new services will generate an additional 10,000 seats to and from Germany in summer 2019 with the potential to bring 5,000 German tourists to the region, generating a spend in excess of €3,000,000 for the West and North West regions. "We are absolutely delighted to welcome this new service from Cologne with Ryanair. German holidaymakers are Ireland’s most active visitors, exploring our historical sites and engaging in multiple events/activities such as hill walking and hiking while on the island, which ties in perfectly with the airport's location as the Western gateway to the Wild Atlantic Way. "Our continued objective with airlines is in delivering sustainable services which have the potential to grow and develop year on year, with a major focus on delivering tourism generating services for the region. We thank Ryanair for their continued support and their vote of confidence in the airport with this new service and we look forward to working with both Ryanair and Tourism Ireland in promoting the new route and encourage the tourism providers in the region to get behind the new service to ensure it is a success." "Ryanair is pleased to announce a new route from Ireland West Airport to Cologne, commencing in June 2019, which will operate twice-weekly as part of our Summer 2019 schedule. 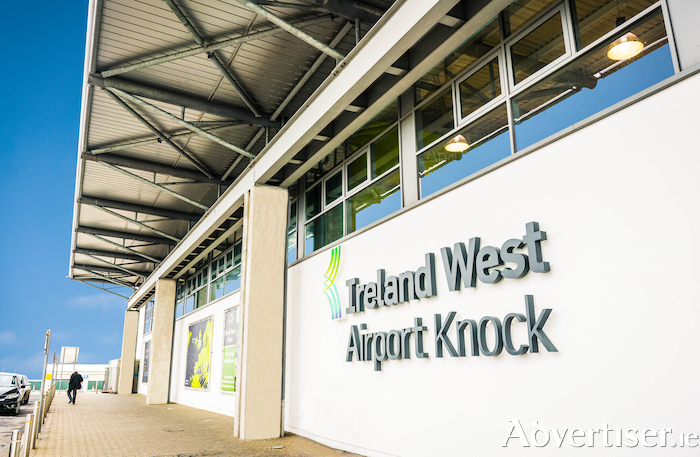 Irish consumers and visitors can now choose from 13 routes from Ireland West Airport next summer and enjoy even lower fares and the latest improvements. "To celebrate we are offering up to €30 off all return flights. This offer is available for booking until midnight Sunday 21st October. Since these amazing low fares will be snapped up quickly, customers should log onto www.ryanair.com and avoid missing out." "Today’s announcement is more good news for Irish tourism as we prepare for 2019, offering more choice for German holidaymakers who wish to visit Ireland and bringing them to the heart of the Wild Atlantic Way. "We work very closely with Ryanair and Ireland West Airport and we look forward to co-operating with them to maximise the promotion of this new flight from Cologne. As an island, the importance of convenient, direct, non-stop flights cannot be overstated – they are absolutely critical to achieving growth in inbound tourism. "2018 looks set to be another record year for Irish tourism from Germany, with the latest CSO figures indicating almost 560,000 arrivals from Germany during the January to August period – an increase of 21% when compared to the same eight-month period in 2017."